The last thing any of us wants, is a wet basement. Armaco has permanent solutions to all of your waterproofing problems. 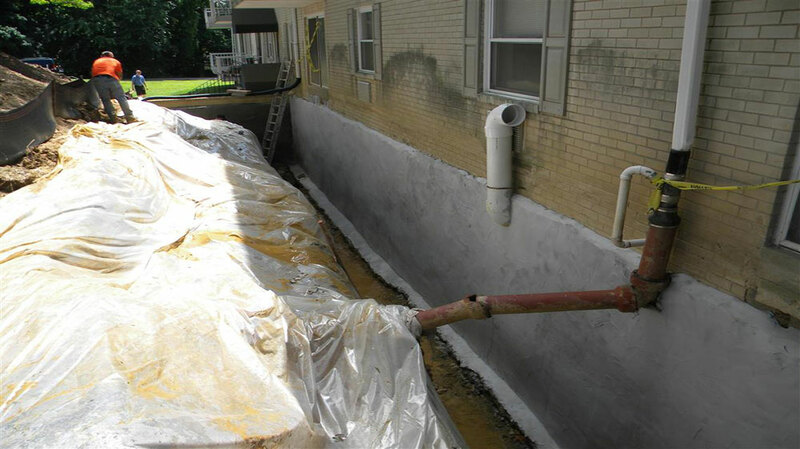 There are vast numbers of waterproofing methods. Each tends to be well-suited to some applications and has drawbacks that make it a poor choice for other applications. The application or the purpose of your waterproofing, including the materials you’re attempting to waterproof, generally dictate the best methods. Each method creates a water barrier, only in different ways. We offer a complete line of basement waterproofing services including, humidity control devices, crack injection, primary and backup sump pumps, drain tile installation, and crawl space encapsulation. Exposed earth or gravel, improper structural support, water and mold intrusions and poor air quality all effect not only the integrity and value of your home, but your family's health as well. Mold and mildew are the main causes of those damp and musty smells. Humidity levels in your crawl spaces can reach 90%, creating perfect conditions for mold to grow. Let one of our company's trained basement waterproofing contractors come and give you a FREE estimate to repair your wet basement problems. Then our trained experts will provide a dependable installation, creating a safe and comfortable living environment.